Pascack Hills’ soccer season has ended. Photo by Dan DiBella. The fall sports season has ended, and with it, so have the careers of many Pascack Hills athletes. 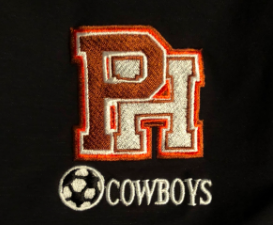 Many seniors have played their last games wearing Pascack Hills jerseys for their respective sports, and one team that will miss all of their seniors is the Varsity Boys soccer team. The Varsity Boys Soccer Team is comprised of nearly all seniors, many of whom have played together for the last four seasons. Now, the players and the rest of the school look back at all of their accomplishments. “It’s been fun,” said senior Josh Cohen, a member of the soccer team. “This is probably the toughest season we’ve had so far. We went undefeated freshman season, and we made the state semifinals last year, but it’s been a great season playing with the whole team.” Cohen, along with the rest of the senior soccer players, have seen success over the past four years being a part of the program, and the entire school will miss them when they are not on the field next year. “We will miss them a lot next year,” said Danny DiBella, a sophomore on the soccer team. He is one of three underclassmen on the team, showing how strong the senior class truly was. The Pascack Hills soccer program will have a hard time finding talent to make up for all that is moving on from high school into college next year. The players will also be remembered for their performance off the field and the impact they made on younger students. “The seniors are an excellent group of kids . I really like playing with them and wish I could continue to play with them,” says DiBella. These seniors have left a large impression on the soccer program that will impact the team for years to come. Underclassmen can learn from how the seniors played and led their team. Spectators can see how close they have become over four years of playing together. In the end, while these seniors may be leaving Pascack Hills next year, Pascack Hills will not leave them, and their impact will stay for years to come.